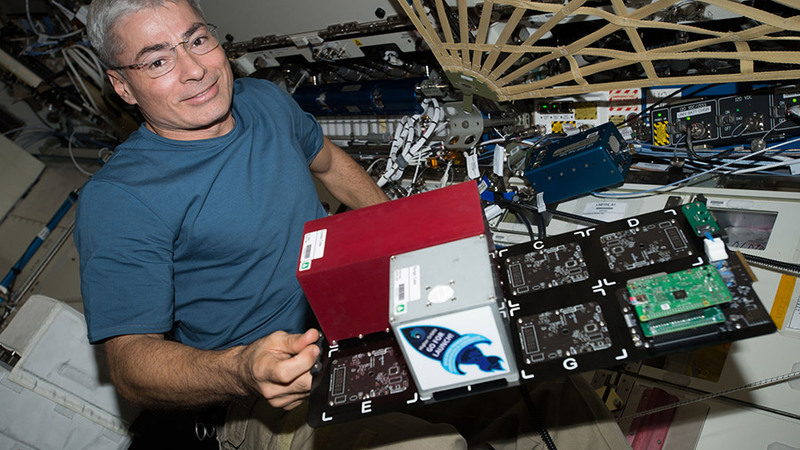 Flight Engineer Mark Vande Hei swaps out a payload card from the TangoLab-1 facility and places it into the TangoLab-2 facility. The six-member Expedition 53 crew heads into Thanksgiving observing how living in space affects the human body and packing the Cygnus cargo craft. The orbital crewmates are also preparing for next month’s arrival of the SpaceX Dragon resupply ship. Veteran space station residents Paolo Nespoli and Sergey Ryazanskiy were back inside the Columbus lab module today examining what microgravity is doing to their leg muscles. The duo took turns strapping themselves in a unique exercise chair and attaching electrodes to their knees. Next, the pair used magnetic resonance imaging and ultrasound devices to observe the changes taking place in their legs in space. NASA astronaut Joe Acaba transferred the TangoLab-1 multi-use science facility into the Cygnus space freighter for a demonstration today. 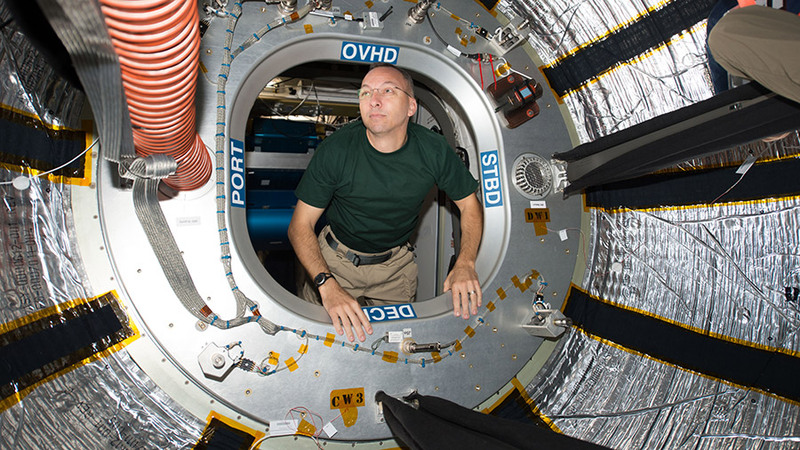 TangoLab-1 is being tested inside Cygnus to determine the viability of using a cargo craft as a laboratory while docked at the International Space Station. The next cargo craft to visit the station will be the SpaceX Dragon when it launches Dec. 4 aboard the Falcon 9 rocket from Florida. Flight Engineer Mark Vande Hei trained today for the rendezvous and capture of Dragon when it arrives two days after its launch. Dragon will carry new science experiments to explore the Sun’s impact on Earth and improve the accuracy of a new diabetes implant device. 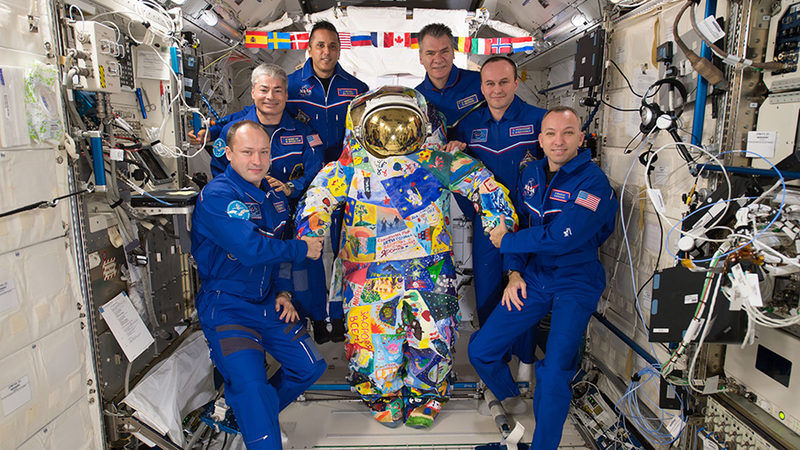 The six-member Expedition 53 crew poses for a portrait inside the Japanese Kibo laboratory module with the VICTORY art spacesuit that was hand-painted by cancer patients in Russia and the United States. 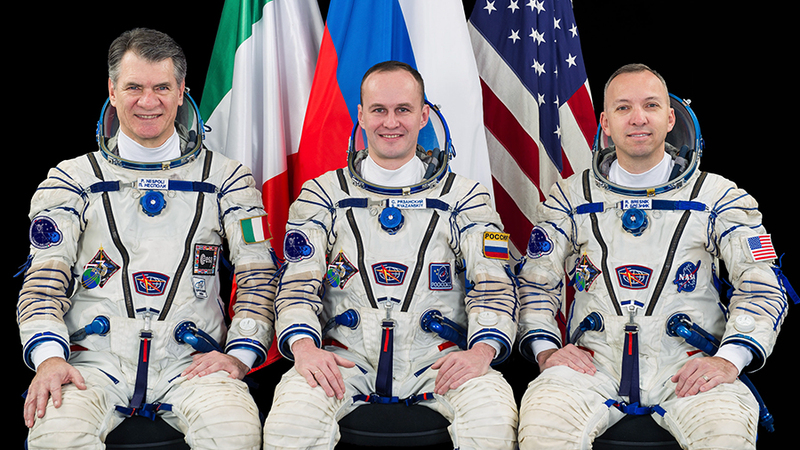 On the right (from top to bottom) are European Space Agency astronaut Paolo Nespoli, cosmonaut Sergey Ryazanskiy of Roscosmos and Expedition 53 Commander Randy Bresnik of NASA. Expedition 53 checked out a specialized microscope and worked on the International Space Station’s toilet today. More supplies and hardware are also being offloaded from the newly-arrived Cygnus cargo craft. Commander Randy Bresnik opened up the Fluids Integrated Rack this morning to take a look at its Light Microscopy Module (LMM), an advanced space microscope. He was troubleshooting the device and swapping out its cables. The LMM provides a facility to examine the microscopic properties of different types of fluids in microgravity. European Space Agency Paolo Nespoli worked on space plumbing throughout the day in the station’s restroom, the Waste and Hygiene Compartment (WHC). The veteran station resident removed and replaced valves and sensors in the WHC as part regular preventative maintenance. More crew supplies and research gear are being unloaded from Cygnus today to outfit the crew and continue ongoing space science experiments. NASA astronaut Joe Acaba was unpacking food, batteries and computer gear for stowage throughout the station. The second-time station resident was also removing Genes in Space gear and blood sample kits for upcoming science work. The Cygnus spacecraft is pictured after it had been grappled with the Canadarm2 robotic arm by astronauts Paolo Nespoli and Randy Bresnik on Nov. 14, 2017. The Expedition 53 astronauts are continuing to unload several thousand pounds of space cargo from the new Cygnus resupply ship that arrived Tuesday morning. 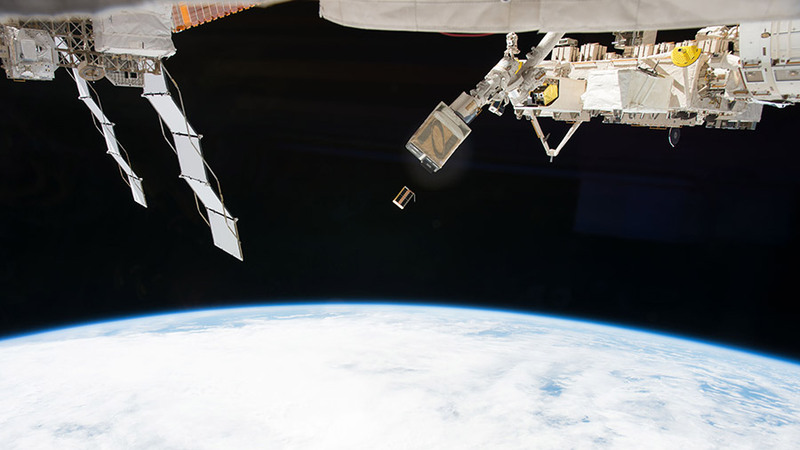 Some of the new science cargo contains a bacteria that curiously loses its harmful properties in microgravity and CubeSats that will be deployed in Earth orbit. The Cygnus is now installed on the Unity module and open for business. The astronauts entered the cargo craft Tuesday and started replenishing the station with almost 7,400 pounds of crew supplies, science experiments, spacewalk gear, station hardware and computer parts. Some of the new research payloads will be looking at the space impacts on microbiology and botany. 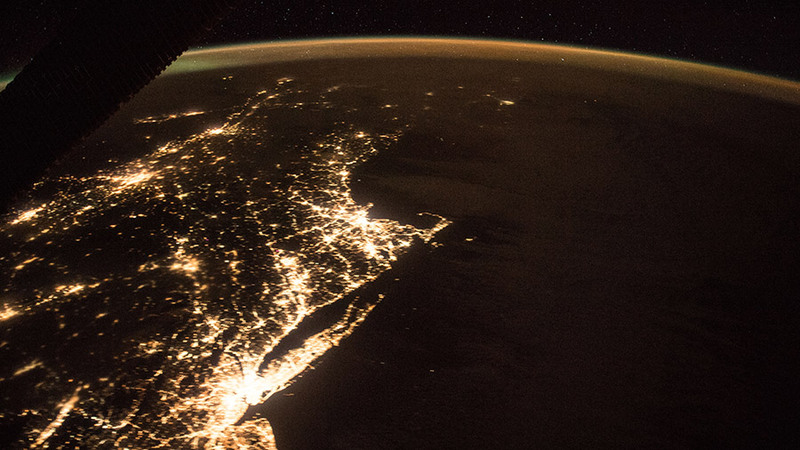 The advanced space research will explore the effectiveness of antibiotics on astronauts and observe how plants absorb nutrients in microgravity. Some pathogens for the STaARS Bioscience-5 study delivered aboard Cygnus have also been safely transferred to the NEXUS facility for later observation. A couple of the newest technology experiments will deploy CubeSats to explore laser communications and hybrid solar panels. 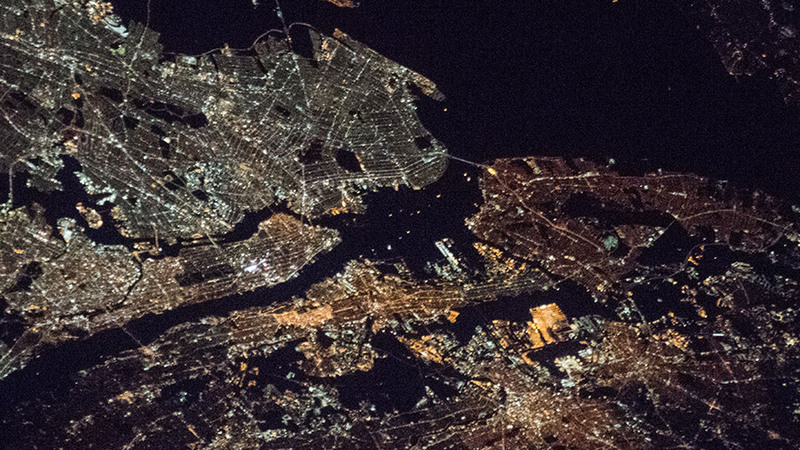 Scientists will study the ability of small satellites to communicate with each other using lasers and also explore if a combination of antenna and solar cells can speed up communication rates. Nov. 14, 2017: International Space Station Configuration. 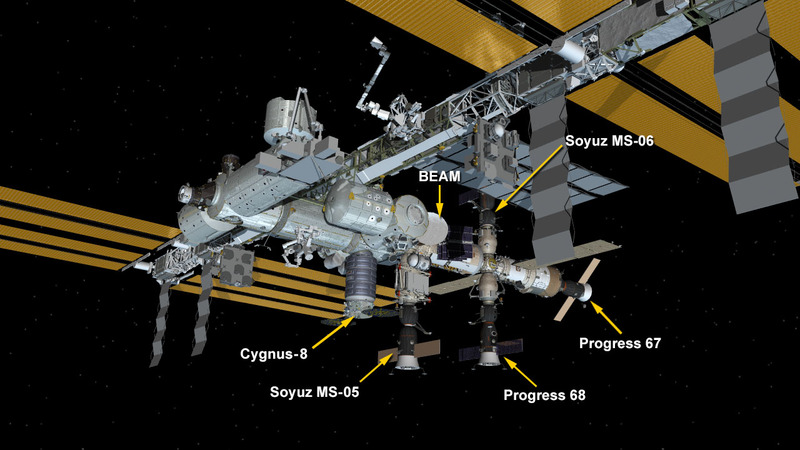 Five spaceships are parked at the space station including the Orbital ATK Cygnus, the Progress 67 and 68 resupply ships and the Soyuz MS-05 and MS-06 crew ships. 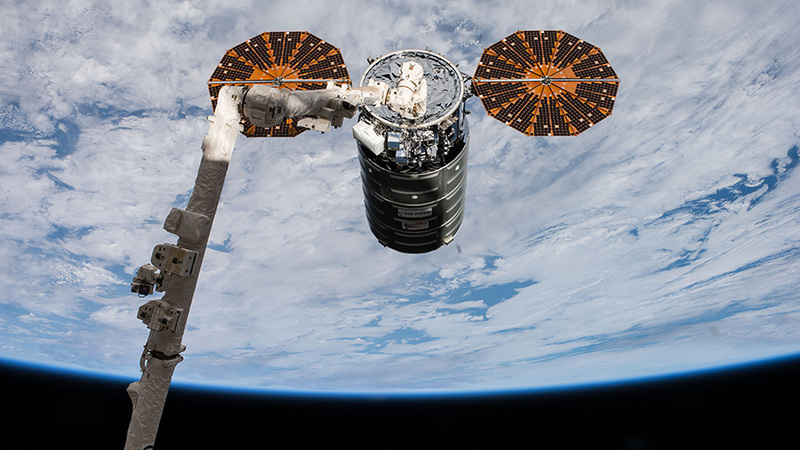 The Orbital ATK Cygnus cargo ship was bolted into place on the International Space Station’s Earth-facing port of the Unity module at 7:15 a.m. EST. 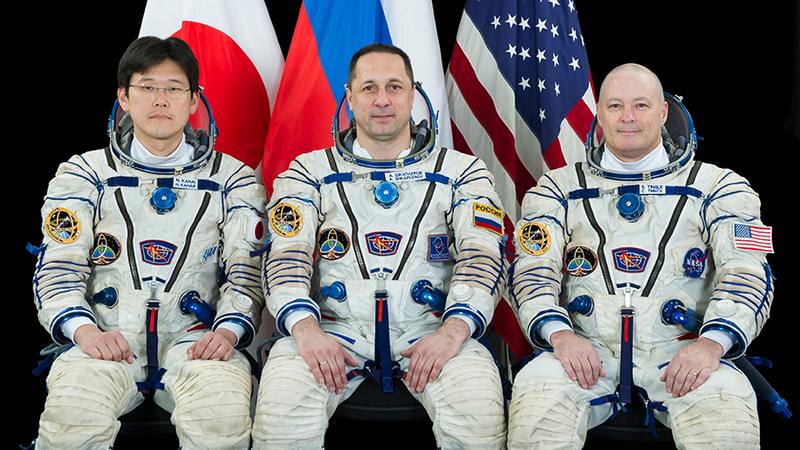 The spacecraft will spend about three weeks attached to the space station before departing in early December. After it leaves the station, the uncrewed spacecraft will deploy several CubeSats before its fiery re-entry into Earth’s atmosphere as it disposes of several tons of trash.